Sea Ray made its much anticipated debut of the new L590 at the recent Cannes Yachting Festival. 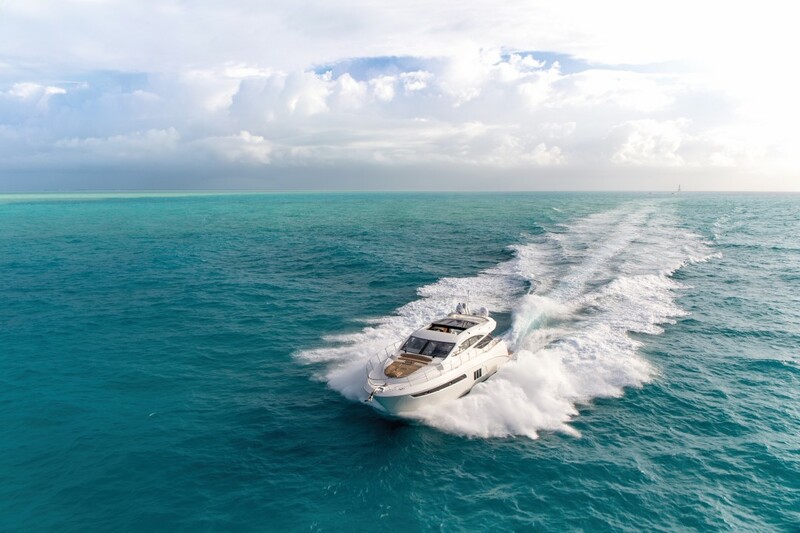 This marks the first time that the Sea Ray L-class appears on the European market and what a debut it was. The L590 is at the pinnacle of classic design and is beautifully laid out to anticipate your every need. From a thoughtfully arranged salon to the ergonomically designed helm, form and function are blended seamlessly throughout. The L590 has comfort unlike anything you’ve experienced before, exceeding the very highest expectations. No compromises. No qualifiers. 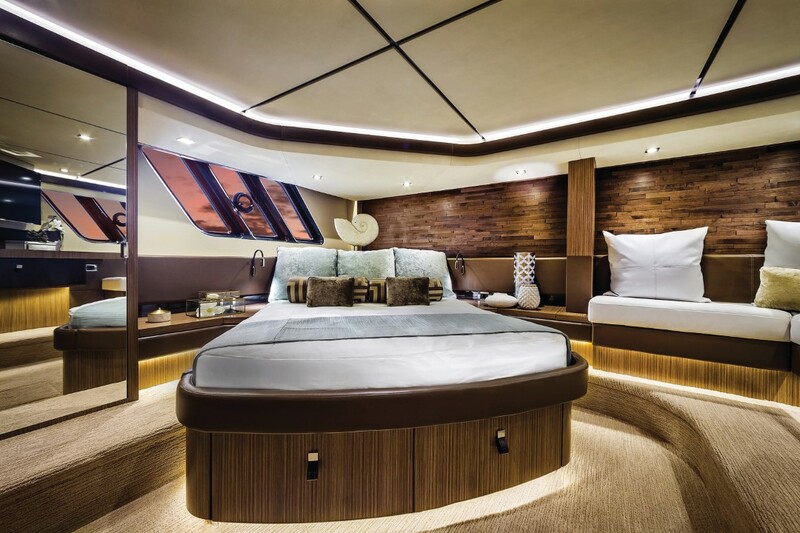 This is what life on a luxury motor yacht is supposed to be. The finely appointed control station includes dual helm seats, dual Raymarine e125 radar, GPS, chartplotters, autopilot, Zeus joystick control and digital throttle and shifts. It has all the electronics you need at your fingertips. The “galley up” design allows for a well-lit countertop and great social interaction. Features include an under counter freezer, icemaker, under-counter refrigerator, two-burner induction stove, microwave/convection oven, power vent, and storage. 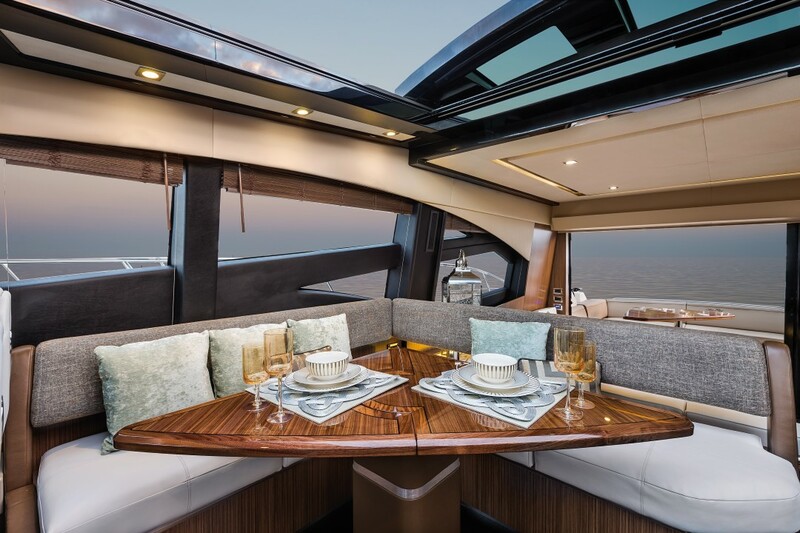 Large deckhouse windows and a large frameless four-pane sliding glass door dissolve the line between indoor and outdoor spaces allowing natural light into the boat like never before. In the salon, amenities include a home theatre system with 40” flat screen LED smart TV. Owners can rejuvenate in supreme comfort in the inviting, full beam, midship stateroom. 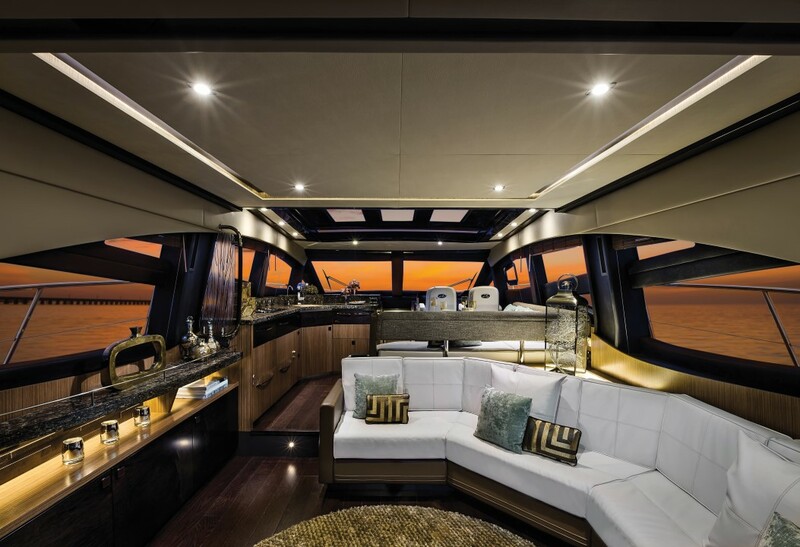 Strategically placed hull windows brighten this full-beam master, which also features an expansive closet system and luxurious private head. Every square inch of the L590 is designed with one purpose: achieve the perfect balance of style and substance. 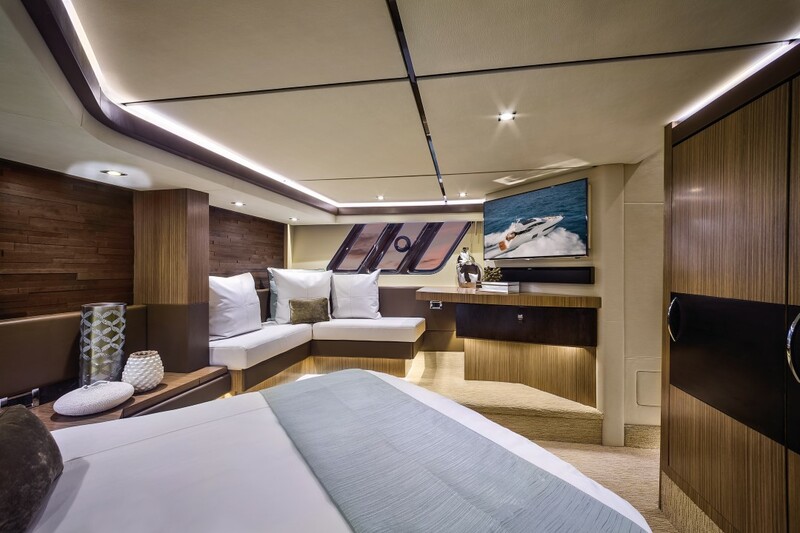 Guests will feel equally pampered in this luxurious forward stateroom. Superior at every level with no detail overlooked. You can see it in premium stitching and upholstery. And you can feel it in cabinetry and fixtures, which are substantial enough to rival anything found on land. 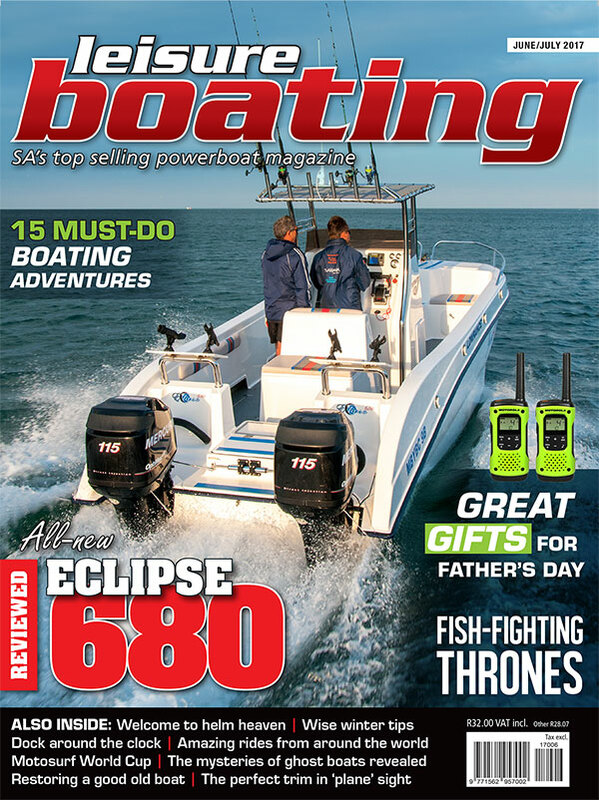 For more information on any Sea Ray available in South Africa, contact Boating World on (021) 418 0840.